The Pakistan Army commenced on April 10, 2010 massive war-games in which over 50,000 troops are taking pace in close vicinity of Pakistan’s eastern borders with India. Major exercises of this magnitude are a periodic occurrence every two years or so to validate tactical doctrinal changes. However, in the present case this major Pakistan Army codenamed Ex Azm-e-Nau III (New Resolve) draws attention for more than one reason. Firstly Pakistan Army is conducting this live war-games of this size after nearly twenty years. Secondly it is being virtually being conducted at the same time as the Indian Army is conducting its own major live war-games along the Rajasthan border. Thirdly, the Pakistan Army is conducting this massive war- game when its western borders are virtually aflame with its operations against the Pakistan Taliban and also when it is under increasing United States pressure to militarily do more in preventing the flow of insurgents from Pakistani territories into Afghanistan to battle US Forces there. The central message that the Pakistan Army wants to convey to its strategic patrons is that it considers India a potent military threat and hence the necessity to prepare for it. It needs to be remembered that for over two years with General Kayani having become Pakistan Army Chief, it has been his focused effort to play up the Indian military threat. His aims were two-fold, with the first one intended to paint India as an aggressive neighbor with hostile intents against Pakistan. Secondly, under the current political environment in Pakistan-US relations where the United States is open to blackmail by the Pakistan Army to provide it with more advanced weaponry to maintain the balance of power against India. 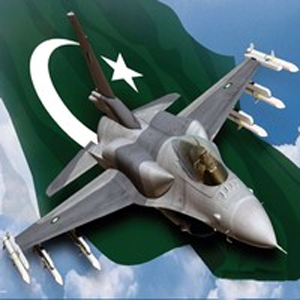 With such military fixations of the Pakistan Army on the Indian threat where both its President and the United States have declared that India does not entertain any aggressive military designs against Pakistan, the time has come for the Indian Prime Minister to revise his perceptions of Pakistan and his rigid fixation that peace with Pakistan at any cost is the only course open to India. The Indian Prime Minster has now to focus attention on a fast track process of making up the major deficiencies of military hardware inventories of the Indian Armed Forces. The Indian Prime Minister must also ensure that the military modernization of the Indian Armed Forces is also worked out and effected in tandem with filling the voids in military hardware inventories. Political and civil bureaucratic lethargies must be dispensed with to ensure that the Indian Armed Forces are not forced to fight the Pakistan Army in any future conflict with one hand tied due to lack of adequate military hardware. India’s political class of all political hues must let it seep in their political perceptions and perspectives that they should not mix up the motives of the Pakistan Army with the goodwill of the Pakistan masses towards India. These are two distinct entities with the Pakistan Army as an implacable foe of India with no hope of changing that military fixation. The Indian Prime Minister must draw and emphasize this distinction in his interactions with foreign leaders especially those who are the strategic patrons of the Pakistan Army This is also required in the context of the ‘bleeding hearts’ in India and the Pakistan -apologists in India who keep on drumming that peace with Pakistan is possible as if to say that by lighting candles on the Pakistan border the Pakistan Army would see light and dispense with its intense hatred of the Indian Republic.